IT’S HERE!! 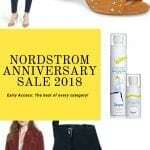 As you may have heard, the Nordstrom Anniversary Sale 2018 is kind of a big deal. In case you missed my post last week, this sale is different for a few reasons. 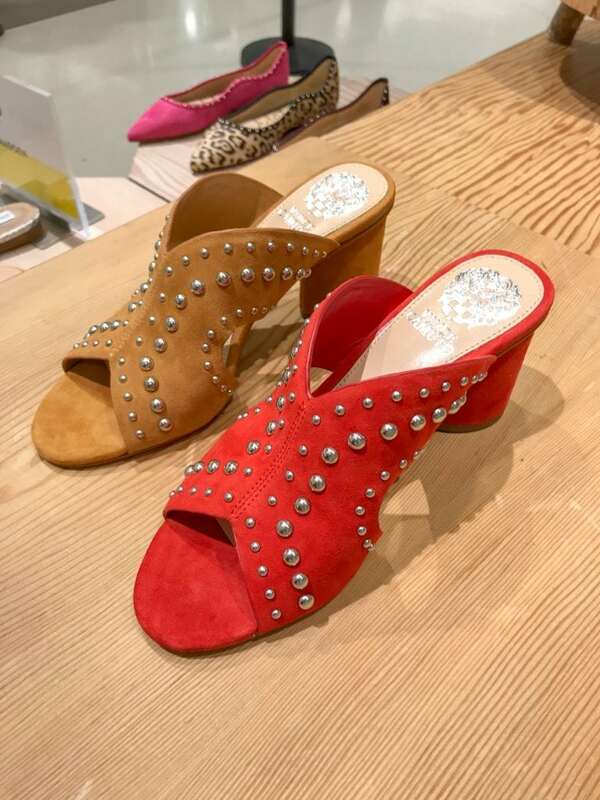 First, unlike other sales that mark down items at the end of the season, this one is marking down BRAND NEW pieces for Fall. As in, no one has shopped them yet… until today! The second way it’s different, is because Nordstrom has “early access” for cardmembers. 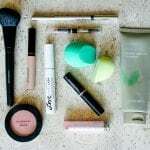 This makes applying for a Nordstrom Card completely and totally worth it, because you get first pick on all the goodies! Don’t have one yet? You can apply here instead of waiting until next week when the sale goes public! 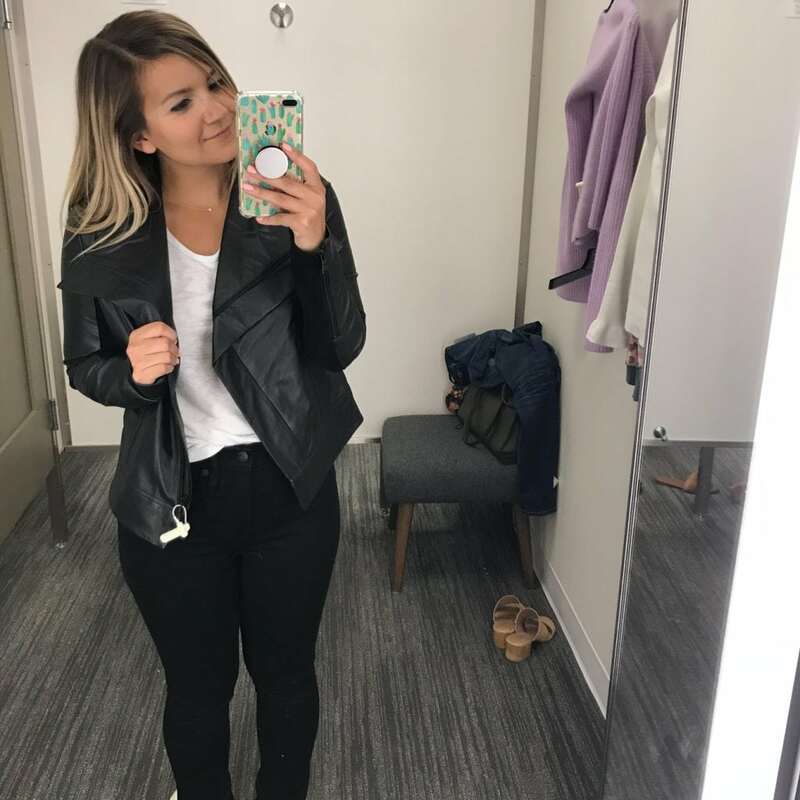 In order to help you shop, and prevent you from feeling totally overwhelmed, I swung by the store last night to try some items on. I always find it easier to envision something on me when I see it on someone else (besides the model!) 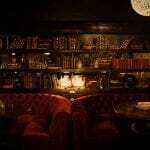 – and it’s even better when I have some insights on the sizing. So, that’s exactly what I’ve done! I’m also working on a separate post with even more options for you guys… I decided not to include that here due to some technically difficulties very early this morning. After a cup of coffee and a beautiful sunrise, I’m actually on board with splitting the posts up! After all, this strategy allowed me to get this one up by 7am so you guys can start shopping, right? And it also prevents this post from being the longest ever ? I’ll also be updating my insta-stories with some videos of these items + tons of posts in LikeToKnow.It, too! Stay tuned! If you’ve been wanting to add some cashmere to your wardrobe, the #NSale is a great time to do it. 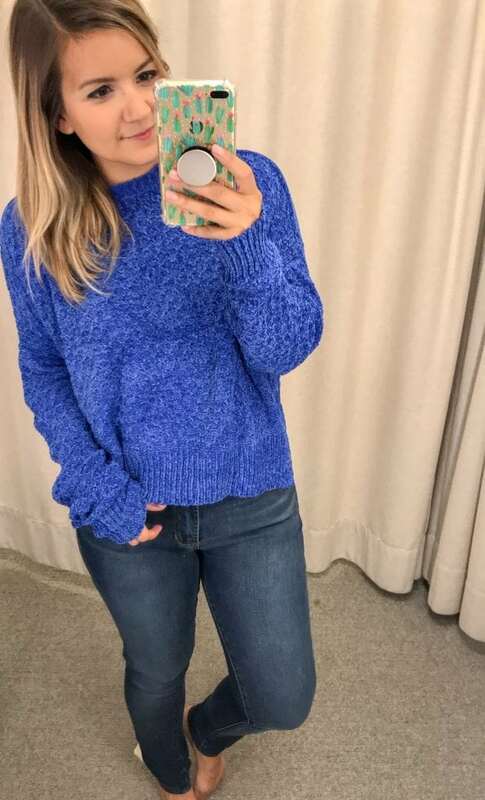 I may have grabbed this sweater for the color, but I’m pretty sure I audibly gasped once I put it on my body because it is SO. SOFT. I seriously did not want to take it off in the store! 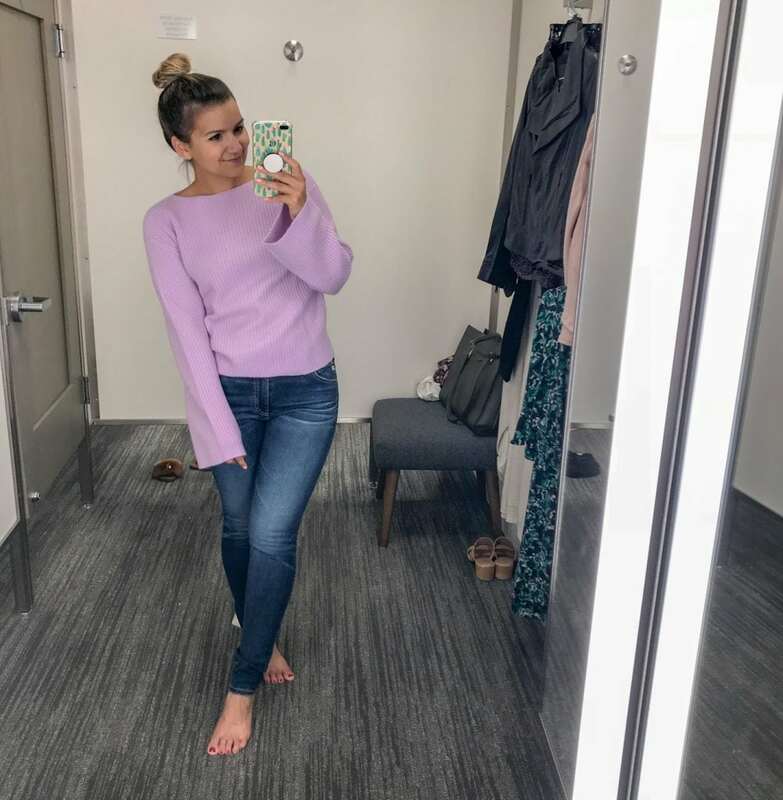 The XS size fit me perfectly, and I love that it has a slightly wider neckline and fun bell sleeves to set it apart from all of the other cashmere sweaters. Also, it comes in gray too, if you’re not a purple girl! Sooo let’s say you want something soft and cozy, but WAY more affordable than cashmere. We’ve all been there, right?! I wasn’t sure about this pullover when I first put it on, but the light fleece fabric feels like pajamas and totally won me over. I’m wearing an XS here, and it’s a little long, but nothing a little french tuck can’t fix ? I’ve always been a sucker for a good crew new sweatshirt, and this one might be my new fave! 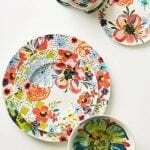 The floral design will make you feel a little bit more put-together, but it’s still SUPER soft and cozy. I’m wearing an XS! 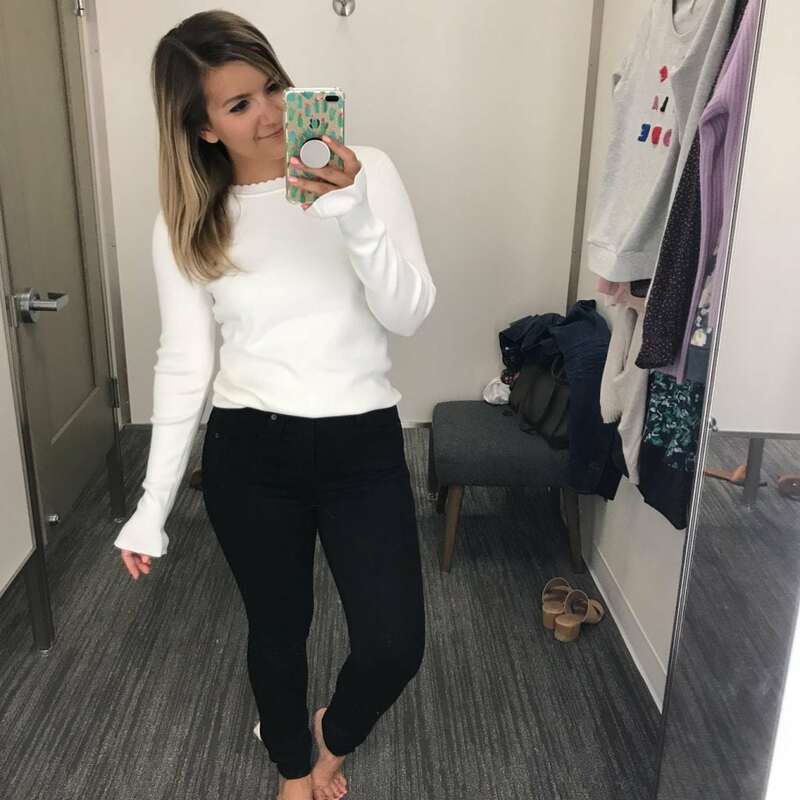 Funny enough, I only tried on this sweater because it was left in my fitting room – but it’s one of my favorites from the whole try-on! 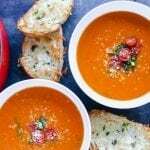 I love that it’s effortless, a little different, and totally affordable. I’m wearing a small here, but I’m going to order an XS since the v-neck cuts a little low on me. Since I know it’s hard to shop for Fall and Winter in the middle of July, I always appreciate finding lightweight sweaters like this. I could totally see myself wearing this exact outfit once the temperature start to drop a little – or even with shorts on a cool evening! I’m wearing an XS. Since I’m short, slightly cropped sweaters tend to be my friend. 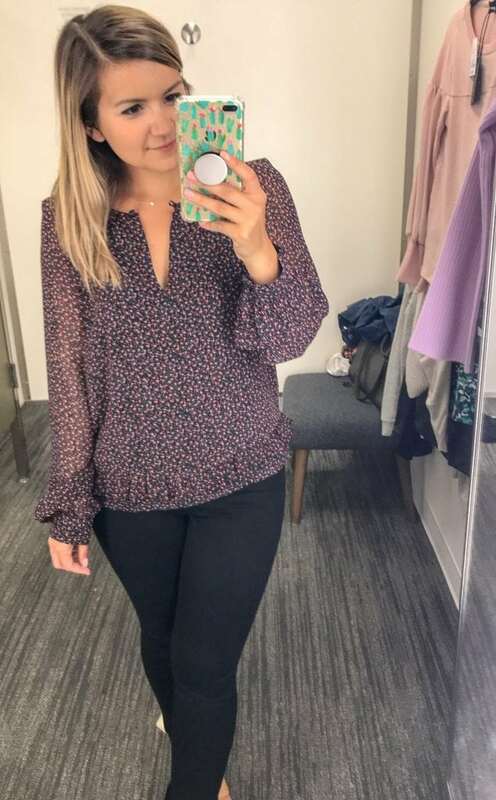 I grabbed an size small in this one just in case it was VERY cropped, and I probably could go down to an XS instead, especially if I wear it with high waisted jeans. Every year, I want a long cozy cardigan… but everyone else’s favorites are always too long on me. NOT THIS YEAR! 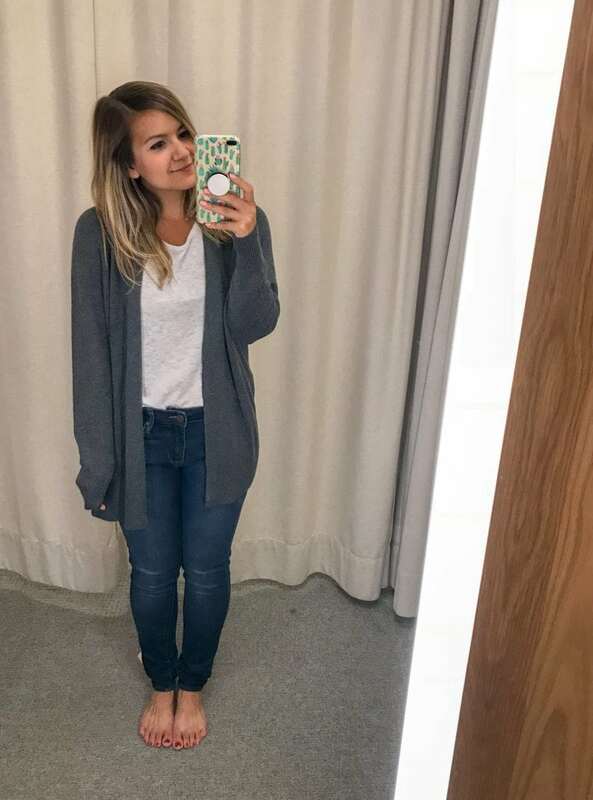 This super soft cardigan is the perfect length for my 5’2″ frame! I’m wearing the XXS and there’s still plenty of room. HUGE win for me! Just in case you’ve been on the hunt for a sweater that feels like a blanket… here it is! I forgot to take a picture of this tag, but I’m pretty sure I grabbed an XS in this one. Say hello to my NEW FAVORITE SHIRT EVER. I seriously want to buy this in every color, it’s the softest thing ever AND only $24! I’m wearing an XS and it fits perfectly. Such a home run! That’s right, just $11! This tee comes in multiple solids and two stripe combos. 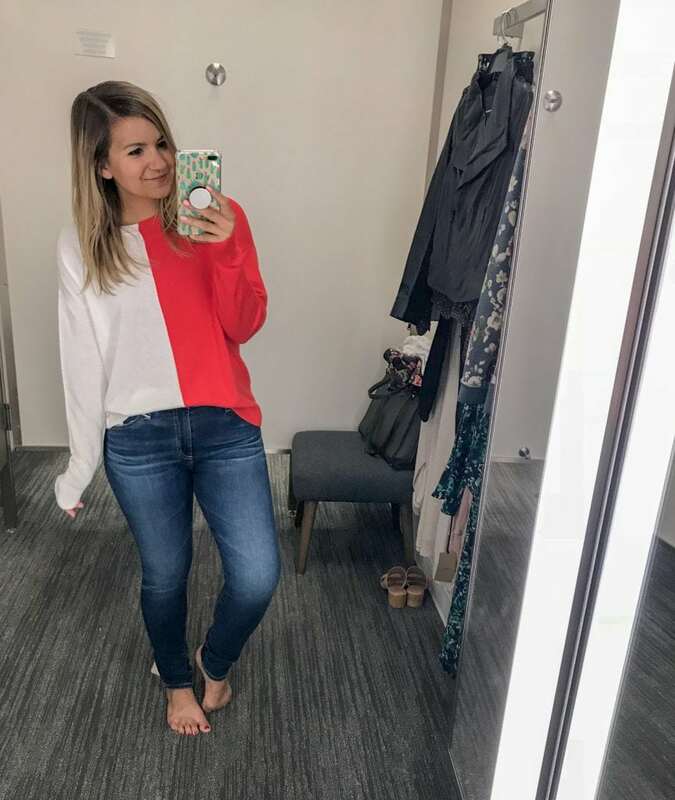 I’m wearing the XS and it’s definitely long on me, but for only $11, I don’t really mind tucking it into a pair of jeans to make it more flattering. Great basic! I just want to start by saying this picture does NOT do this top justice! I’ll post a video to my stories this morning so you can see more of the details, because the print, the sleeves, and ruffle detail along the bottom are all sooooo cute. I’m wearing a small, which was definitely a little big on me, but they have the XS online! If you know your closet could use a pair of black jeans this Fall – jump on this Madewell pair! 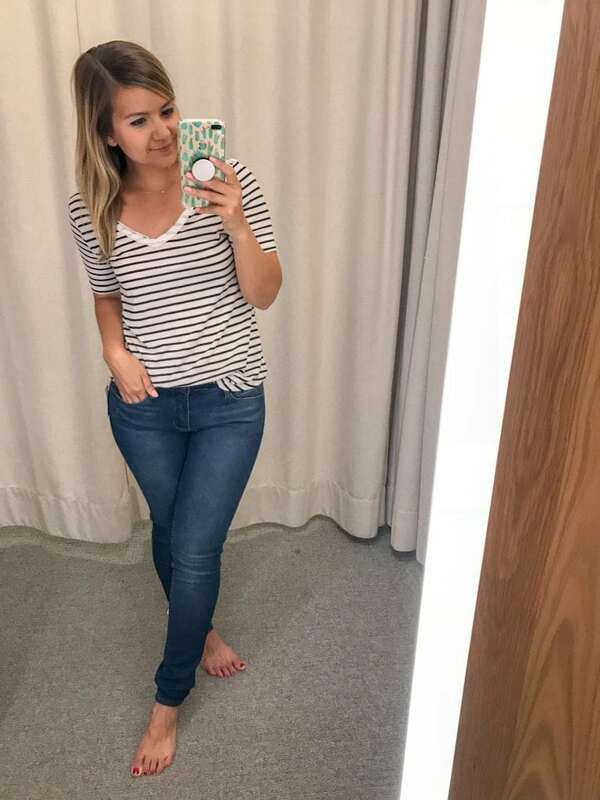 The high rise is really comfortable and flattering and they run true to size (I’m wearing a 26). They’re definitely long on me, but nothing a quick hem can’t fix! *PS. 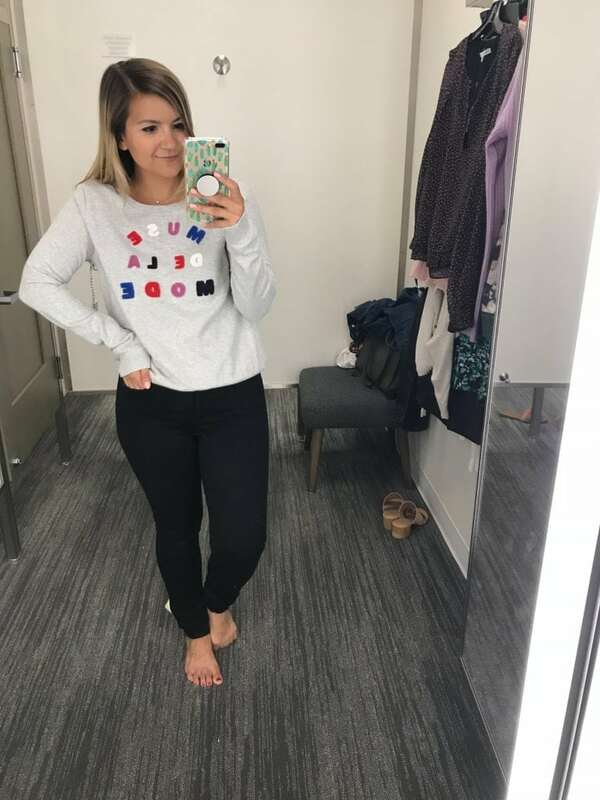 I haven’t been able to find this sweatshirt online yet, but I’ll update this post when I do! I grabbed this pair of jeans because I remembered one of my followers suggested this brand for my white pants roundup. The verdict? I’m very impressed! 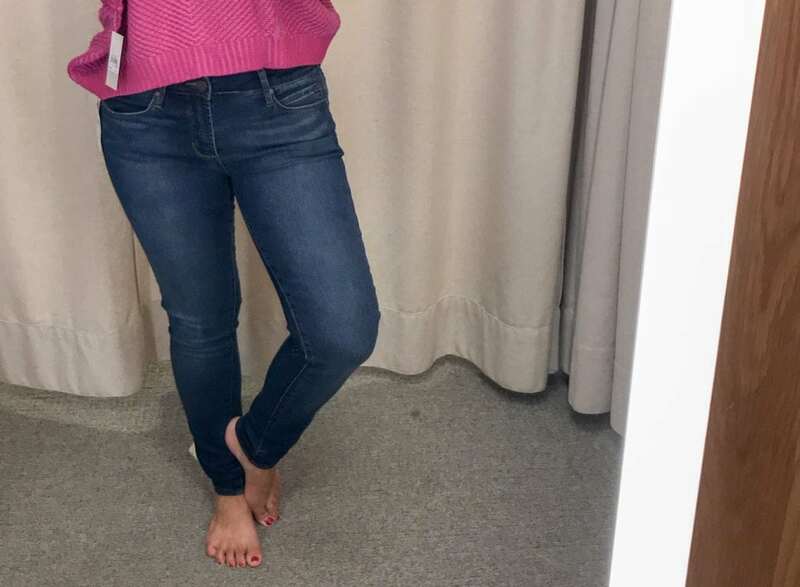 For just $41, these jeans have tons of stretch and are a nice comfortable mid rise. I tried on the 27, but I think I could size down to my usual 26. Definitely purchasing today! Oh, AG. You’re so expensive, but so damn good. If you’ve been wanting to invest in a really good pair of jeans, this is a great one to add to your cart. I usually find AG to run a little small, so I grabbed a 27 instead of my usual 26, and I loved the way they fit. They’re a little long, but the wash still looks fine on my short legs, so I call that a win! Talk about a transitional piece! 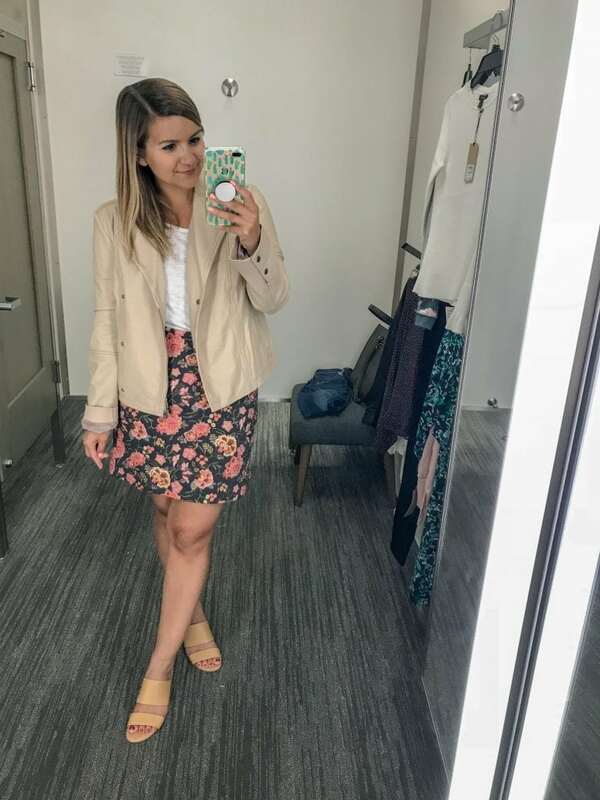 I threw this jacket right over the outfit I wore to the office yesterday, and it looked PERFECT! The sleeves were a little long on me (story of my life), but the XS fit me really nicely everywhere else. Helllloooo pretty! 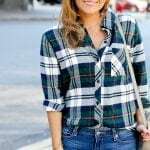 This one is also a great transitional piece – and all around good staple to have in your closet. I’m wearing an XS here with a tank top, but I’m curious about trying on a small. In reality, I’m going to want to be able to wear at least a thin sweater under a leather jacket, right? I was running out of steam by the time I saw these beauties, so I didn’t try them on… but aren’t they GORGEOUS?! That tan color is calling my name ? Please excuse the terrible photo! I thought you all needed to see these on a foot, because simply sitting on the display didn’t do them justice. 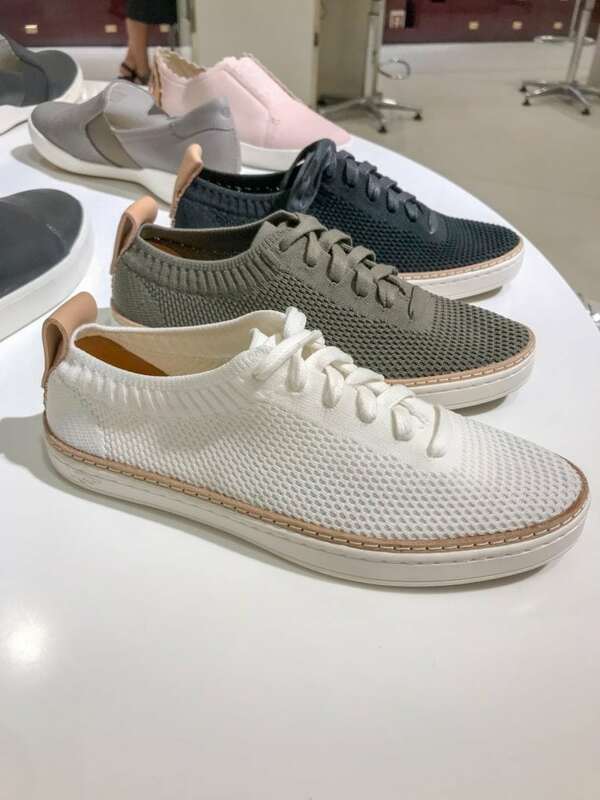 Especially because, at $189, these are still pretty expensive shoes for most of us – but if you want a really sleek and professional looking pair of flats, this fits the bill. They come in more colors, including leather, too! 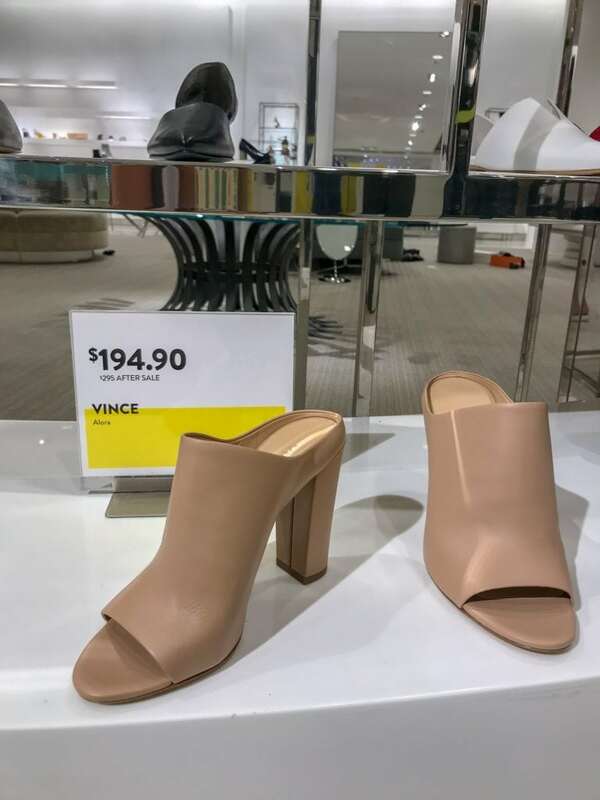 One more Vince pair, because these are giving me serious flashbacks! Just a few years ago, Vince came out with a gorgeous pair of mules and I thought they were gone forever. Not the case! These babies are back and even better than before. Studded shoes are usually not my style, but for some reason, I love these. They’re fun and different, but still totally wearable. 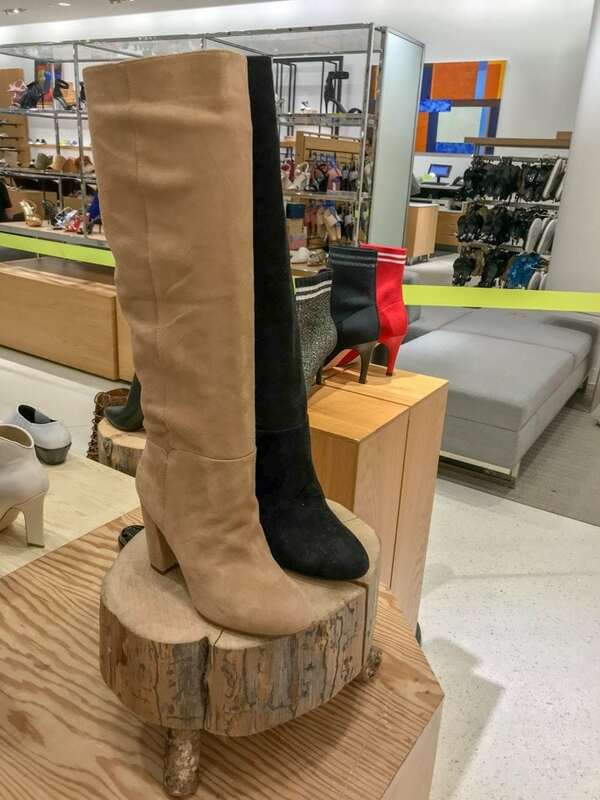 Plus, you guys know I love a good stacked heel! Do I even need to explain why I love these?! 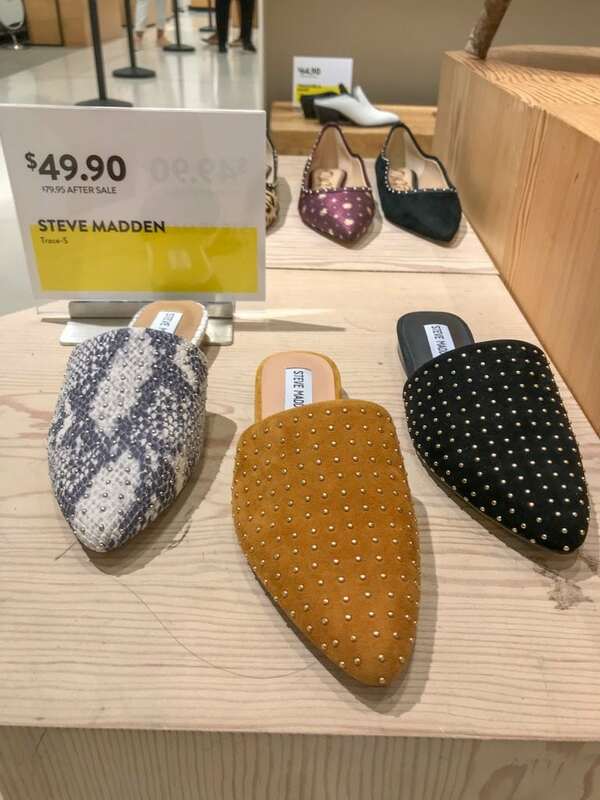 You’ll wear them with anything and everything this Fall – and the $49 price tag doesn’t hurt either ? So… what are you gonna buy?! 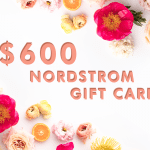 4th of July Sales + a Nordstrom Giveaway! « Easy Build-Your-Own Ice Cream Sundaes with Hudsonville! I see these items on the website and think….meh, no thanks. 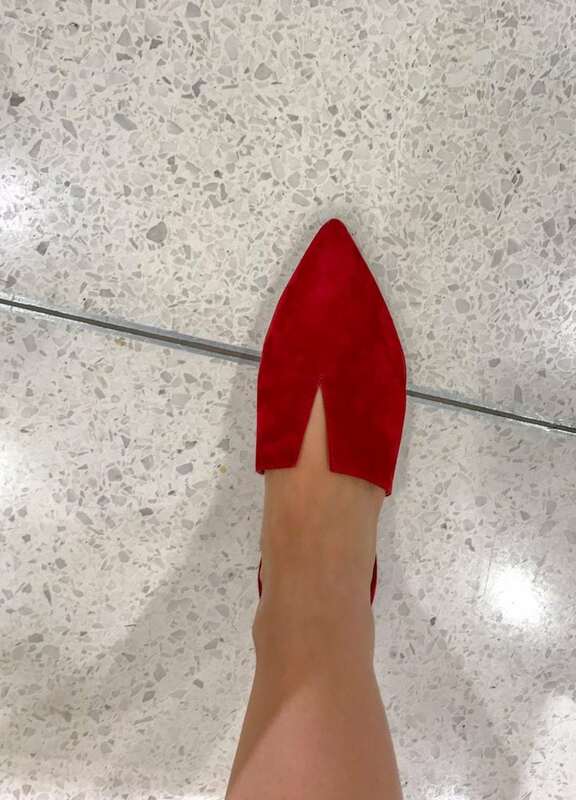 Then you put them on and style them and…perfection! 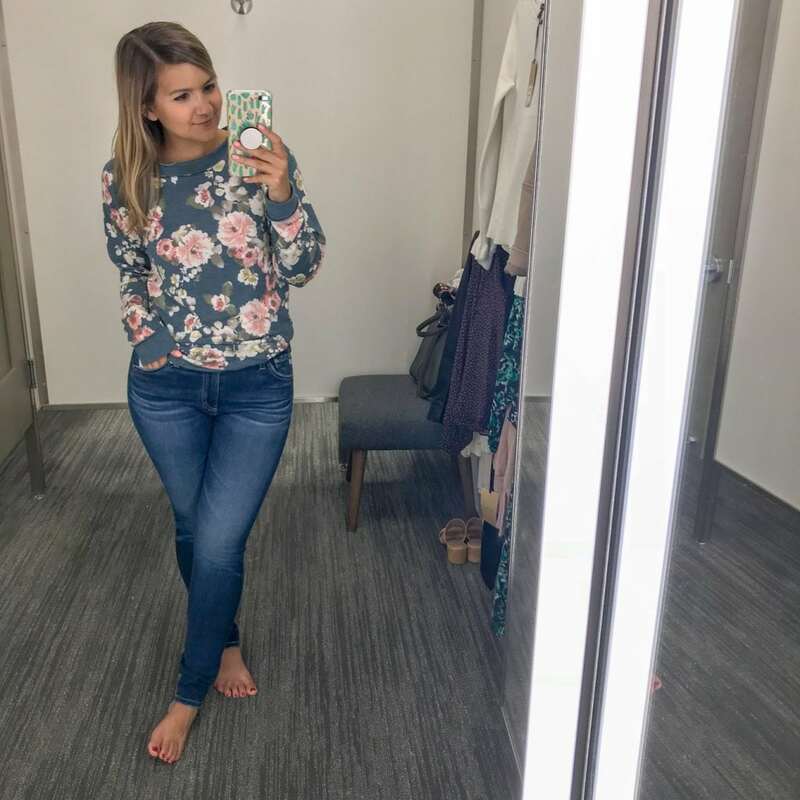 You bloggers should be modeling for Nordstrom! 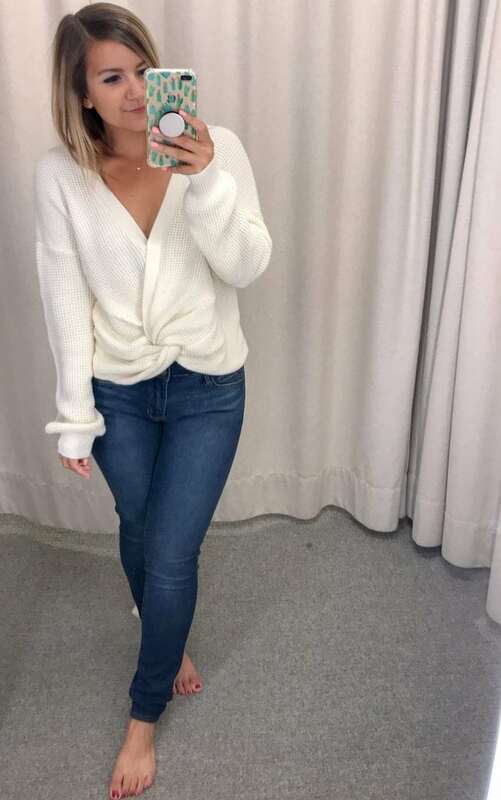 Haha I know what you mean – it’s so easy for me to think another gray sweater is so boring… but then you put it on or see it on someone who looks like you and you realize you’d wear it ALL THE TIME! So worth snagging it at a discount then!